You spend night after night dreading bedtime. You hear the baby crying and can’t believe they’re awake again when you just put them to bed an hour ago. Or, you finally get your child to sleep, only to watch them wake up as soon as your transfer them to their crib. You feel beat mentally, physically and emotionally as you start the process all over again. You’re frustrated your bed has become the family bed. And you want to transition baby to a crib. You want your bed back to yourself and crave alone time with your spouse but you have to be lying next to your child in order for them to fall asleep. You’re so exhausted from lack of sleep that you can’t remember the last time you woke up in the morning feeling rested and happy. You’re starting to resent your spouse for not helping at night, you’re always getting sick and you’re nervous that you’ll screw something up at work because you’re so sleepy. You long for the days when your evenings were relaxing and you had time for yourself. You want your evenings back so you can binge watch your favorite shows, read a book or just enjoy some quiet time before bed. You’d love to get 8 straight hours of sleep at night. Imagine how you’ll feel after 8 uninterrupted hours of sleep. You’ll feel more put together, organized and less stressed. You’ll no longer have to do 2:00am internet searches for ‘help my baby sleep,’ read another book or try another piece advice from well-meaning family and friends. You’ll no longer fear bedtime because you and your child enjoy the quality time together. Imagine being able to lay your baby down in their crib and say goodnight. Best of all, you and your baby will sleep through the night. You’re ready to make a change but aren’t sure where to start. Does any of this feel familiar to you? Is your baby waking multiple times a night? Do you go to work feeling so exhausted that you’re afraid you’ll screw something up? Do you continually use sleep props such as rocking, swinging, pacifier, nursing, etc to get your child to fall asleep? Do you want the bed back for just you and your spouse or partner? Do you miss the feeling of a good night of sleep (& your sanity)? You’ll finally be able to sleep at night without constantly staring at the clock wondering when the baby will wake up next and how you’ll get them back to sleep. You’ll feel confident that your child is safe while they fall asleep independently and sleeping well all night. Baby's Sleep Assessment: This in-depth profile assesses different factors that affect your child’s sleep, identifies areas for improvement and will give you a concrete strategy to get your baby sleeping through the night. Step-by-Step Written Sleep Plan: Created just your baby, this step-by-step sleep plan will guide you over the course of 3 weeks to change your baby’s sleep from unpredictable to sleeping all night, using a method you’re comfortable with. In-Home or Online Consultation: During your 60 minute in-home or online consultation, we’ll discuss your child’s current sleep situation, the ways it’s being affected and how it can be improved. You'll get to make decisions as parents about the method that works for you and I’ll walk you through your written plan so you’re 100% confident you know what to do when you begin. Follow-Up Support: We'll follow up through scheduled phone calls and emails for the 3 full weeks to track your child’s progress to ensure we get the right amount of sleep for your baby. Imagine how you’ll feel when your baby sleeps through the night for the first time! Continuing the Great Sleep: Learn how to navigate common sleep challenges, such as regressions, meeting milestones, illnesses, teething, nap transitions and even how to travel with baby; so once you've created a great sleeper, you can continue the great sleep as baby grows! ​Bedtime will no longer be something you fear. Imagine being able to lay your baby down in their crib and say goodnight, knowing your baby is able to fall asleep independently. Bedtime will become a relaxing activity for both of you and you'll be confident your baby is sleeping well. Comprehensive Sleep Assessment: This in-depth profile will assess different factors that affect your child’s sleep, help identify areas for improvement and give you a concrete strategy to get your baby sleeping through the night. Step-by-Step Written Sleep Plan: Created just for you and your baby, this step-by-step written sleep plan will guide you over the course of 3 weeks to change your baby’s sleep from unpredictable to sleeping all night, using a method you’re comfortable with. Get Ready to Start Pre-Call: We'll schedule a call before night 1 of your plan to discuss ways to make your child's sleep environment optimal for sleep, discuss how your plan will work and answer any questions you have before I arrive. 3 Hours of In-Home Support on Night 1 of Your Plan: You'll have me in your home for 3 hours on night 1 of your plan to be your support and see how your baby reacts while you work through your child's plan. You'll get immediate feedback and you'll have me there to guide you while your child falls asleep. Learn how to navigate common sleep challenges, such as regressions, meeting milestones, illnesses, teething, nap transitions and even how to travel with baby; so once you've created a great sleeper, you can continue the great sleep as baby grows! ​Bedtime should be a relaxing activity for both you and your child. Imagine being able to lay your baby down in their crib and say goodnight, knowing your baby is able to fall asleep peacefully. Bedtime will become an activity everyone will look forward to and you'll be confident your baby is sleeping well. 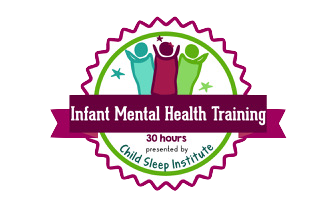 ​Interested in working with me to get your baby sleeping all night? 1. Click on the purple button below and use the contact form to send me a note. 2. We'll set up a time for us to chat about your situation and make sure we're a good fit before you begin. 3. If we're a good fit, I'll walk you through the next steps to get started. 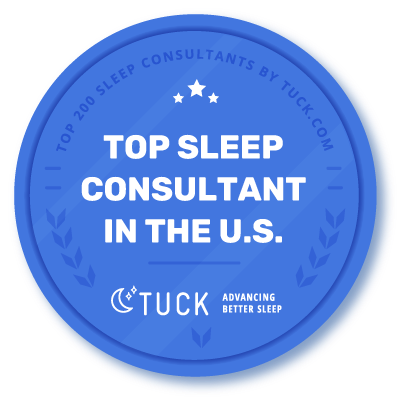 Meet Christine - Top Sleep Consultant in the U.S.
Like lots of moms, I struggled with my own daughter's sleep and felt lost, not knowing what I should do. I understand how you feel...exhausted, frustrated and just hoping for a few extra hours of sleep. Now, my daughter falls asleep easily at bedtime and is happy when she wakes in the morning. I found a solution that worked for my family and now I want to show other parents that you can get a full night of sleep and so can your child. Just because you're a parent doesn't mean you have to be sleep deprived! Her 100% success rate is not a joke! You were always reassuring that we would work it out and get through it. Your personal support was huge. I tell everyone I can about you! Since working with you, we have gone from a husband and wife who took shifts on the family room couch with baby sleeping on our chest to a couple who is back in their bed together getting some much more sleep that is truly needed. I loved how confident you were in your knowledge and how encouraging you were. You were polite when I asked questions- you made me feel like no question was a dumb question!